A group of anonymous hackers have reportedly leaked the usernames and phone numbers of 4.6 million Snapchat users. According to Forbes, a database of Snapchat user information was uploaded to the website SnapchatDB.info – the site is now down. Before the site went down, the text on the page warned that the leaked users' names and phone numbers could leave digital clues leading to Facebook and Twitter accounts. The hackers apparently cited a previous document outlining security exploits of Snapchat’s database, released by Gibson Security. Snapchat could not be reached for comment on the data leak. A website set up by Gibson Security lets users check if their data has been leaked. If an account has been compromised, the phone number associated with the user name will appear with the last two digits omitted. 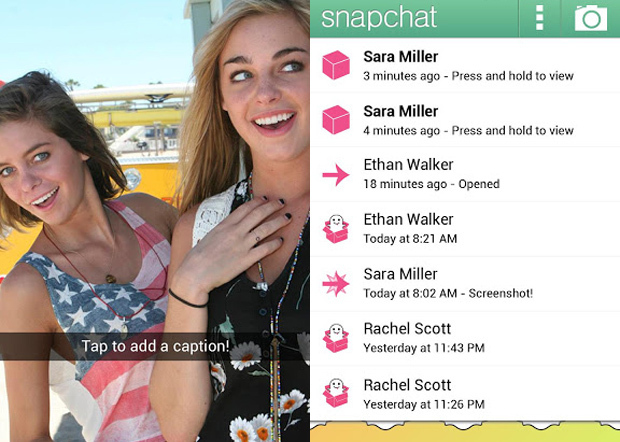 Snapchat is a mobile messaging application that lets users send self-destructing photo and video messages. In a September 2013 interview, Snapchat co-founder Evan Spiegel said the app has more than 350 million uploads per day.